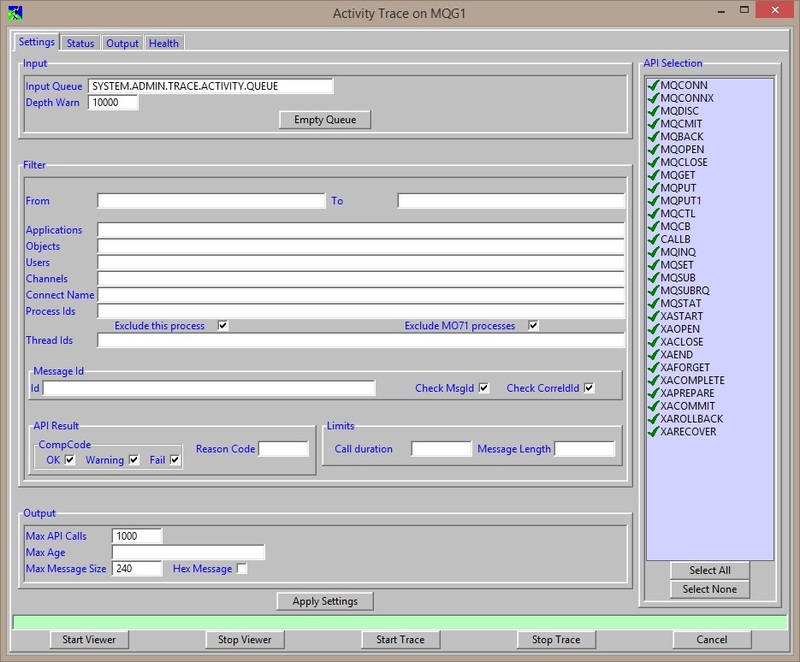 MQGem Software is pleased to announce that a new version of MO71, our GUI Administrative tool for IBM MQ, is now available. The new Activity Trace viewer allows much easier viewing and searching of the information generated. Easily find reason codes, or filter by object names, locate applications using certain options which they shouldn’t, and so much more. More information can be read in Application Activity Trace Viewer. You can now import an MQ Explorer export file to make migrating to an MO71 configuration much easier. This enhances the already provided import of local queue managers, and import from a CCDT file, all helping you get set up and going with MO71 much quicker. More information can be read in Import queue managers from an MQ Explorer export. The new version can be downloaded from the MO71 Download Page. Any current licensed users of MO71 can run the new version on their existing licence. If you don’t have a licence and would like to try out MO71 then send an email to support@mqgem.com and a 1-month trial licence will be sent to you. This entry was posted in MO71, MQGem News, MQGem tools and tagged Activity Trace, GUI, IBM MQ, IBM WebSphere MQ, MO71_Jul2017, monitoring, tools, WebSphere MQ by mqgem. Bookmark the permalink.